Is an Even Lower Protein Intake Better? This has been a very controversial topic in nephrology. If a low-protein diet decreases the workload of the kidneys, wouldn't eating even lower amounts be even better? There have been major studies examining both views that have found very different results. In the mid-1990s, studies were done which demonstrated that eating very low-protein diets - in the range of 0.2 mg/kg a day - supplemented with amino acids, reduced the amount of protein in the urine. For those with very advanced kidney disease, it delayed the time until dialysis was started. However, in a study published in 2009, patients who were on a moderately low-protein diet - 0.5 to 0.6 g/kg of body weight - were compared to those on a very low-protein diet - 0.2 g/kg of body weight. Both groups of patients were followed closely by their doctors for years. Those on a very low-protein diet did not fare any better than those on the higher-protein diet. It was also suggested by the study that those on a very low-protein diet may have a higher mortality. The one factor that made a significant difference in preventing kidney disease from worsening was maintaining a lower blood pressure. 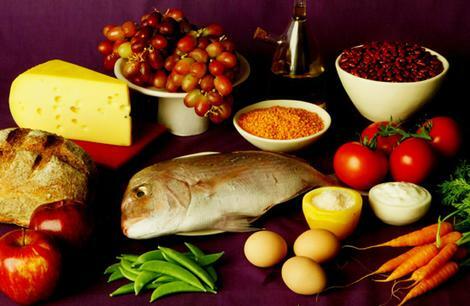 Most nephrologists are recommending a moderately lower protein intake of 0.6 to 0.8 g/kg. It also may mean that there are factors other than the amount of protein that can contribute to a worsening of kidney disease. In addition to a higher blood pressure, I submit that this also includes a sustained inflammatory response. Phosphorus is an important mineral found in all cells of the body. When joined with calcium, it helps maintain the integrity of our teeth and bones. As CKD progresses, the kidneys can no longer eliminate excess phosphorus to maintain body balance, and as a result, phosphorus accumulates in the blood. When this happens, calcium is leached from the bones and can also build up in the blood, which can cause changes in bone health as well as heart and blood vessel damage. Blood work will again indicate if dietary changes or medication is needed. If results indicate that the phosphorus level is too high, the doctor will more than likely prescribe a medication called a phosphate binder. A normal phosphorus level, as reported in your blood work, is 2.5 to 4.5 meq. When the number reaches 5.5 or higher, your doctor may talk with you about using a phosphorus binder, as discussed earlier. Phosphorus is found in most foods, but mainly in protein-based foods, such as meat, poultry, fish, and dairy. Therefore, restricting dietary protein will limit the amount of phosphorus consumed. Phosphorus is also found in much smaller quantifies in fruits and vegetables. You should be aware of hidden sources of phosphorus, as well. For example, phosphate additives are added to commercially prepared foods and soft drinks, especially colas. As with potassium, the phosphorus content may not be listed on all food labels. You need to be aware of the phosphorus content of the food that you buy. In general, the amount of phosphorus restricted is to about 700 to 1000 mg each day. Magnesium is a mineral that is important in bone and nerve health. Normal levels as reported on blood work are approximately 1.6 to 2.0 mg. In the advanced stages of CKD, the kidneys can have trouble eliminating excess magnesium. Pay attention to how much magnesium you are consuming. In addition to vegetables and whole grains, magnesium is also found in over-the-counter medications such as laxatives, milk of magnesia, epsom salts, many antacids, and pain relievers. Over-consumption of these products could put you at risk for magnesium toxicity. It is very important that your doctor know about all of the over-the-counter medications you are taking, including multivitamins containing potassium and magnesium. Again, blood work will dictate if restrictions are necessary. To find out more, you can check out Diet For Kidney Disease Patients.